Description :1. voltage: 3.2v 2. Capacity: 6Ah 3.Application:solar street light /storage 4.Cycle life:over 2000tims Accept OEM order and samples order. 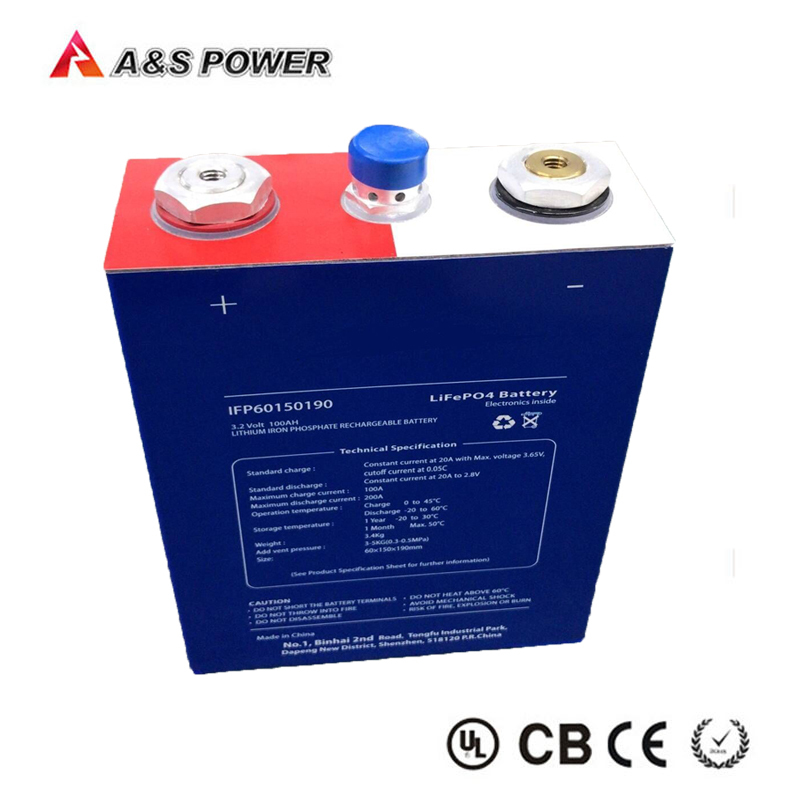 Shenzhen A&S Power Technology,a OEM rechargeable battery manufacturer in China over 10 years. Specialized in lithium polymer battery,Lifepo4 battery and Li-ion battery. Our products are widely used in popular electronic products, such as Bluetooth Headset, Portable Speakers, consumer products, emergency light, GPS, digital player, solar & wind energy storage, electronic auto and E-bus. 1. Q:Where can I get the price for 3.2v 6Ah Customized Lifepo4 Battery Pack With PCM ?